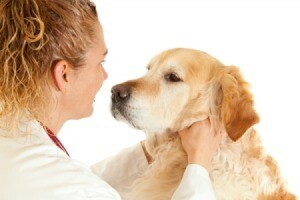 Many dog owners whose pet survives the parvo virus worry that their pet may contract it again. This is a guide about "can a dog get parvo again?". Question: Can Dogs Get Parvo Again? My 4 year old Dachshund is having some diarrhea and seems to be refusing his hard dog food. He is still eating just not as much. He almost died as a puppy with parvo. I guess he is a carrier. What are the chances of a reoccurence of the parvo? He was treated with a booster after a year old, but nothing since. Do I need to be concerned or wait and see how long he has the diarrhea? These are questions best brought to your veterinarian. However, just diarrhea with no vomiting is usually NOT a sign of parvo. I wouldn't push food. He knows how is stomach feels. I'd at least call the vet in the morning and get professional advice. I've never heard of a dog being a carrier of parvo. To the best of my knowledge they either have it or they don't. Please go to your Vet! I had a puppy who died from parvo (the whole litter came down with it) After coming to terms and wanting a companion I got another puppy who had survived it from the same litter. Just earlier today he threw up that clear foamy liquid that occurs with parvo. I know the virus will always be in his system, but should it ever act up like that? He's still acting like a normal energetic puppy, but I still want to know if it's normal. Please help! I was surprized to learn that the Parvo virus is airborne-so is, obviously, very easily spread. After more research, the answer to your initial question is no, the dog has the virus the rest of its life but it will not reoccur. Having had Parvo disease, the dog is essentially "naturally vaccinated"-poor dog! Similar to Polio in humans-the irony here is that poeple who survived Polio as children are now finding new medical problems resulting from the Polio disease. However, after a Parvo illness, immunity is very low and other problems may continue and new diseases may occur. Note that diahrrea and vomiting are common difficulties after Parvo, the dog's stomach and intestines are very weak after the disease and will be recovering from Parvo and open to other problems and diseases. You should immediately take your dog back to your vet for treatment as these problems can continue and worsen so other diseases may take hold. A dog must physically come into contact with the animal or it's body fluids or feces. It can easily become an epidemic in an area where dogs poop in the same area, or someone is caring for puppies with parvo and also caring for other dogs, such as at a shelter. Think "ebola", here. The parvo virus is extremely persistent in the environment such as the yard and can be hard to get rid of. I would not panic about one instance of vomiting. I would be concerned after two or more episodes. And clearly the Vet would be the help you need at that time. Good luck. Having worked in the vet field for years I know that your first statement is absolutely false. This virus can be spread via airborne. Please try and refrain from passing info on without being certain of outs truth. It is not airborne. I have a dog with parvo as a foster dog and all vets said no..
though it spreads very easily. I could see why you'd think that. When in doubt, ask a vet. People who have worked in the Field are not vets. Question: Can Dog Get Parvo Twice? If my dog survives Parvo can he get it again? Yes, if the first illness was mild and they did not take care to stay up on vaccinations. Well today I took my 12 wk old pup and they told me she had parvo. I asked him the same question in case my pup will make it through and he told me that there is a slight chance that she can get parvo again or can become immune to it. So I would be extra careful and disinfect every place she was so she wont catch it again. And I am glad your dog survived I hope my pup runs with the same luck as your dog did. I'm so sorry, having a puppy who had parvo myself I know how hard it is. If your puppy survives parvo, they cannot get parvo again. I wish you the best with your pup, I hope he/she gets better soon! Question: Can a Puppy that Survived Parvo Become Infected Again? My puppy survived parvo and has had no shots. So it can't catch parvo again correct? Many people tell me many different things. According to reference.com, your dog will be immune for life. Yes. Parvo is a virus, like the flu, there are many strains of it. They won't get the same train again, but they can get another strain of parvo later in life. It used to be believed that it just involved 1 strain of Parvo. But now they are seeing many. It could be that the viruses have mutated. Question: Can a Puppy Get Parvo Again? Can a puppy who had parvo get it a second time? I belive this is exactly whats going on with my pups. Last Sunday one puppys stomache began to growl loudly non stop for a hour so I gave him pepto by Tuesday he was vomiting n diareah the explosion kind but never any blood vet said parvo negative but round worms and hookworms positive and that he had a bad gi infection. Hes 5 months old. One by one developed same symptoms but only 2 got deathly ill. The vet gave me 2 syringes of pyrantal dewormer on day 3 I gave one to the first and one to the second dog the next day they were both fine today is day 6 and there all fine except the last one who got sick shes ill. I think now its the worms and I gotta get the little one pyrantel asap. Also their diareah wasnt that parvo smell theirs was a rotten fish smell was urs like that?